Winter isn’t the end of the world, but we sure do miss the warm sunshine of summer! If you’re anything like us, we’re betting you can’t wait to get your pool opened back up this spring. 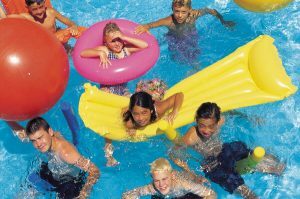 Swimming pools are such a great source of fun and swimming is a very healthy activity. Here are five nostalgic memories we can’t wait to relive! Sunbathing. Mmmm. Just imagine floating around in a pool in the warm sunshine or lounging on the deck reading a book. So relaxing! It’s just not quite the same with the cold of winter nipping at your nose every time you leave the house. Even after dark, a well-lit pool can be a relaxing and enjoyable place for adults and well-supervised children. The average working person doesn't have that much time during the daylight to kick back and enjoy themselves by the pool anyway! Many of our great accessories are easy to enjoy during daylight, but after nightfall, shooting hoops in the pool or diving for sinking toys can be way more difficult! 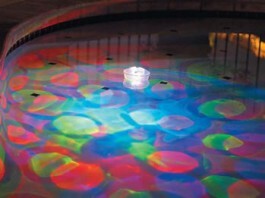 This month, we present some of our pool tools and toys that enhance your aquatic nightlife. Having the right games to play can turn a familiar old swimming pool into a new and exciting aquatic playground. Not only is it a good way to combine exercise with fun, but having fun, easy and structured games makes any pool party an instant hit with swimmers of any level or age. Here are some suggestions for hours of entertainment.